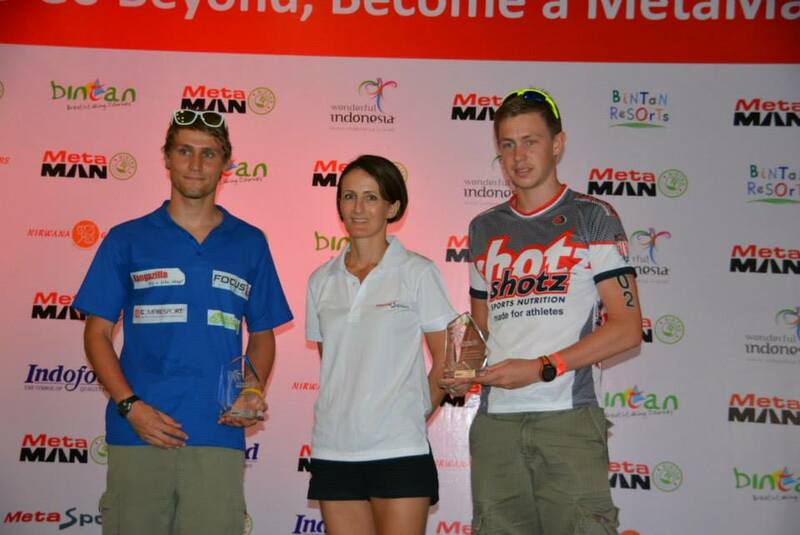 My first competition in the new season it was Metaman half-ironman in Indonesia. This race is the second largest prize to the date for triathlon event in the word. I was training for many months hard and well, so I was ready to the race. I did not know that the Indonesian climate is humid and hot, so this time it was harder for me than I thought. The swim it was in the China Sea. My start was not the best and unfortunately I made a mistake sort after the start witch result in a not too good result in the swim. The bike course it was very different again. The course was going up and down to the hills. It was very hard, but I liked. I just rode alone across in small village and jungle. 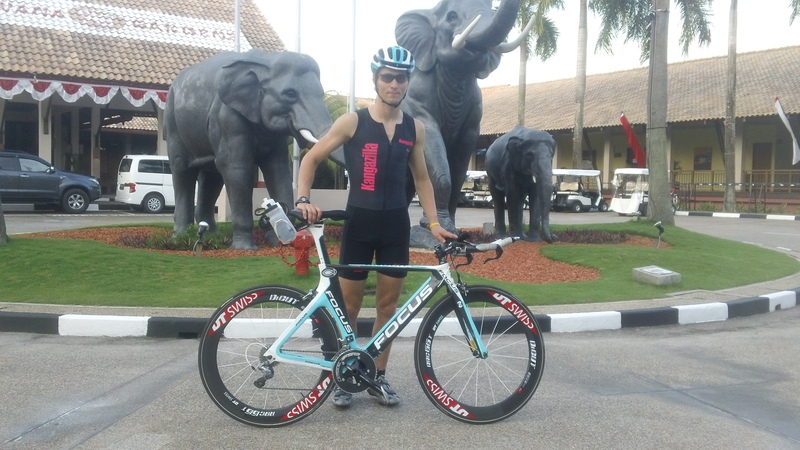 I rode well in the heat on my Focus TT bike with the new wheels (thank you Kangazilla!). When I started the run it was different, and I did feel good. I didn’t start fast, because it was very hot. My strategy was that I will wait till the other athletes get tiered and then I will attack. Unfortunately I also was tired because of the heat. The weather was so hot, that before 10 km from the finish line I thought I can’t finish. Than I decided to drink a Sudden Rush Guarana, so I did and it was a good idea, because in a sort time I was able to made up my mind and continue on the race. So I went on and I finished at the 4th place. My run time it was 95 minutes in the half marathon. 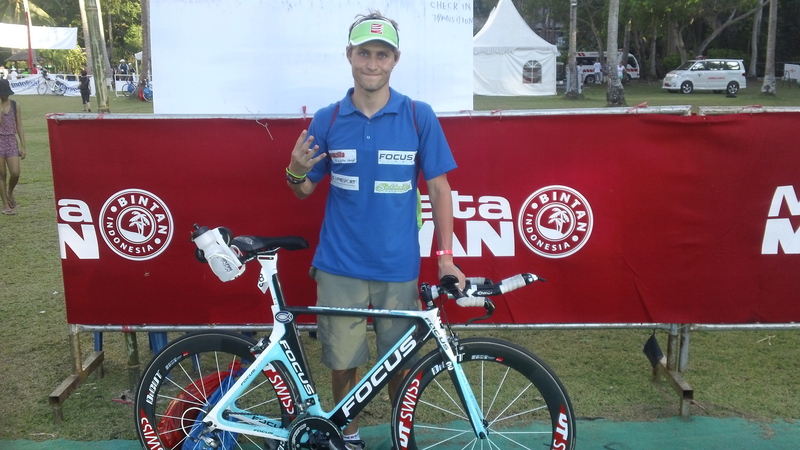 (The best runner ever in this race was James Hodge (Japan Ironman 70.3 winner), he run 92 minutes. Regarding the best result in this field my run result is still considerable.) Everybody has to go tough hard times, and it looks like that this race was one of the most difficult once for me. I think that this was a very hard race, and maybe it was the most difficult race in my life. Regarding the circumstances, I think that my result is quite good specially for the beginning of the season.